E. Stephen Burnett challenges the objection of why “Man of Steel” isn’t like all those great classic Superman films. This week the San Diego Comic-Con is underway, complete with promotion for the summer 2016 followup to Man of Steel, Batman v Superman: Dawn of Justice. Meanwhile, SpecFaith staff explorers E. Stephen Burnett and Austin Gunderson share their conversation about Man of Steel and its controversial violence, and how the film flies over many critics’ heads. Catch up on part 1 from Tuesday or access the whole Badfan v Superman series so far. 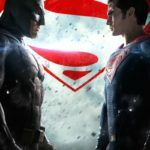 Austin Gunderson: What, at first glance, would you say were the most significant differences — thematically, stylistically, and/or substantively — between Man of Steel and previous Superman films? I think they’re recalling a recent popular culture mythology about the character of Superman that is based entirely on references and mental clips of the original Superman: The Movie, the unparalleled and classic 1978 film. But when we start talking about “previous Superman films,” that mythology breaks down. 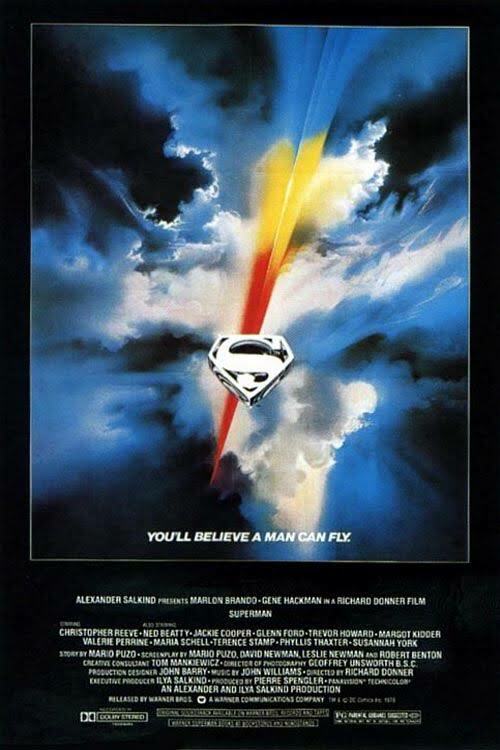 Superman II (1981) was the result of a creative crisis between director Richard Donner and the producers whom most criticize today, the Salkind brothers. Both films were shot simultaneously, a process unprecedented for its day. But once the first film was a hit, the Salkind Bros. went a bit mad with power—again, by the accounts I’ve heard and read. The Salkind Bros. fired Donner and hired another director, Richard Lester to replace him. And Lester, who liked comedy, put in some especially silly bits — the worst of which was a sudden stop to the story so that the three evil Kryptonians could super-blow Metropolis residents all over the place and cause all kinds of vaudeville-style hijinks. Most of the good stuff in Superman II is from Donner, as evidenced by Superman II: The Richard Donner Cut, which released to disc-only in 2006 and, I think, should be considered the definitive film. 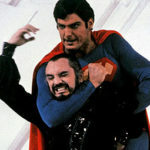 But folks who have that stereotypical memory of the Superman character should remember: in either version of Superman II, Superman turns quite selfish and jerky, surrenders his powers, and goes a-fornicating. Brute henchman Non arguably kills himself by trying to fly and instead falling to his doom. And Lois Lane kills the female Kryptonian, Ursa. And why don’t we notice? Because … it’s treated more lightly. It’s a fun killing. We must return to this point. It hurts just seeing it. 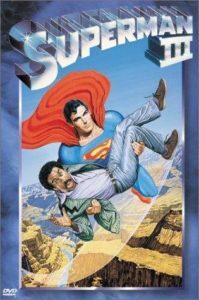 Superman III (1983) was idiotic and it demonstrates the worst of Lester with his “comedy” and circus-clowing cut loose. Let’s not even mention it except to say that no one needs to be favorably comparing it with any of today’s Superman films. For my part, when my original family was on a Superman film kick but I knew III was the worst, I tried to get through it (I have a high tolerance for films others despise), but simply couldn’t make it. I walked out several times, tried to return, and then finally left after some villainess was cheesily turned into an evil cyborg or something. Superman IV (1987) was arguably even worse than Superman III and should serve as the final subversion of pop culture’s romanticism not only with “previous Superman films,” without qualification, but with actor Christopher Reeve in particular. Yes, Reeve is an American hero. Yes, after his horseback riding accident he was even more an American hero. He died tragically young and we’ll always remember him. But Superman IV occurred when Reeve thought it would be cool to have Superman rid the world of all those nasty nuclear weapons and throw them into the sun. (I doubt even a kid with fanfiction could have come up with something so simplistic.) At least someone got in there and realized that this would only make things worse, because some villain would simply use the power vacuum to create an even worse weapon. And the results were super-idiotic. I’ve seen clips of the “battles” on YouTube and television. Only in the old Superman series are visual effects from a 1987 film worse than a film made a whole decade earlier. Yet between those two at their best and Man of Steel there are actual differences. Superman 1978 plays out the hero’s journey in a very fun and comic-book-y way in a recognizable yet idyllic world with eras such as idealized-1950s and idealized-late-1970s. Man of Steel takes this idea and adds some struggle: Superman’s journey is still much the same, but this time it’s in a stylized version of reality that does seem more “realistic” not because it’s not action-film-land (it is) but because people react more realistically to the arrival of a superpowered alien—with suspicion and fear and even religious responses as well as guns and military jets. This is not a world in which the police would one minute react with comic incredulity at the notion of a flying hero in bright red boots, and the next minute simply go out for drinks to combat the ludicrous picture and then eventually accept it. The first-contact situation in Superman 1978 goes like this: Superman tells Lois he comes from a world called Krypton and Lois says, “Oh! Krypton,” and we move on. The first-contact situation in Man of Steel embraces this science-fiction angle to a fault and we get a proper first-contact story: “You are not alone,” and we feel that the world has really changed with this philosophy-shaking news. Read part 3, Challenging Cheap Optimism, in which Austin Gunderson explains the chief obstacle to a new Superman story and how “Man of Steel” director Zach Snyder worked to overcome it. I really need to watch Man of Steel. I’ve been meaning to but this series is motivating me. Oh, and I adored Superman Returns so I’ll be looking forward to part 4! You have to keep the culture in mind when evaluating the past films, though. The original superman film is similar to a silver age comic book, with all the pluses and minuses of that era. Expecting realism out of that is asking too much, because that’s something that didn’t really begin to matter until the dark age. Superman IV is probably just as bad as the bad bronze-era “message” stories of the time. 2 and 3 are in between, and yeah they are pretty bad. Though as a kid, 3 actually scared me because the scene where the computer converts the woman and then tries to convert superman were nightmarish and oddly prescient. Almost Lovecraftian. I think people tend to look at those films as purer mostly as a reaction against the dark and modern ages of comics. Sort of a backlash against moral complexity, and a wish for pure escapism. That backlash makes some sense. At the same time, I’m already inclined to backlash vs. the backlash simply because of opposition to any impulse that says, “It’s just entertainment, it’s not meant to be real or be so serious, why can’t it just be fun?” To me that can possibly smack of a flippant and even less-than-biblical approach to stories and songs that, while being fantastical, are better when they reflect reality. You’re thinking a different type of realism. The backlash is more against things like the Authority or Shadowwatch than anything. A good example of the tension between the two ideals is the animated movie Superman Vs. the Elite, which has him go against a thinly disguised Authority. i.e. amoral heroes who get things done by any means. Or Batman: Under the Red Hood, which is a different kind of pure versus realistic clash. I’ve followed Superman in an enough incarnations to know that there are plenty of versions of Superman. 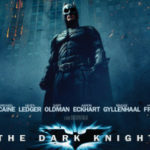 I think the film captured a Superman who tried to do the right thing and save everybody. It was a decent film, but I do wish there had been some lighter films. I fear this next film is going to be darker. You pointed out that Superman killed Zod in Superman II. But not Superman: The Movie. That’s a key difference. We’re going to be far darker in the next movie and the first one was dark enough. Also, I bringing up Superman III and Superman IV is a bit of a strawman. No one’s nostalgic for those movies. (Except for me and Superman IV since that’s the first film I remember seeing in theaters.) Still, I know it’s not good.